Life stressors such as work-related problems can be a real drain on your marriage. Sometimes, the negativity that jobs create can even lead to the end of a marriage altogether. The important thing to remember is that your marriage and family are way more important than any job. But sometimes life passes by so quickly that you don’t realize how bad things have become until a lot of damage is already done. 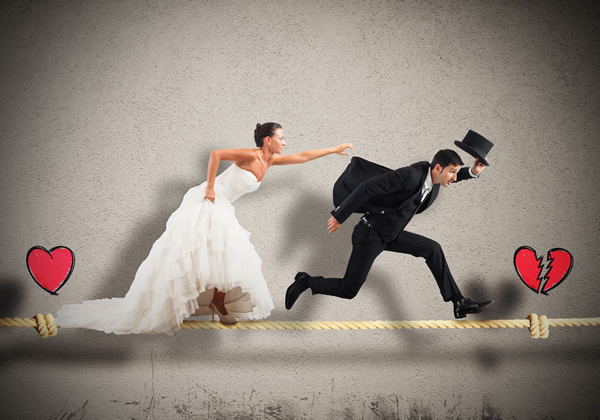 Is your job negatively impacting your marriage? Here are three major signs that it could be. If there is one absolute in your marriage, it’s that you need time together for it to work at all. No time, no marriage. It’s that simple. Whether you legally stay married or not, you literally have no relationship without time. But, too often, lesser things get in the way of more important things. Gradually, our work can become a cruel master instead of a servant. And before long, our jobs can make us a slave if we’re not careful. If your work makes you a slave, your marriage will suffer badly. If you don’t have time for your spouse, nothing you do can fix this except more time. A job that enslaves you and keeps you from your most vital relationship with your spouse isn’t worth it. Yes, it can be incredibly difficult to peel yourself away because of your financial needs. But peel yourself away you must. The truth is that your spouse needs you way more than your employer ever will. You either need to make some drastic changes to your schedule or find a career with a healthier work-life balance. Is your company culture toxic? Does your boss make you regret the day of your birth? If so, you’re likely struggling with resentment and bitterness because of your work. You may even feel depressed. That’s more than just not cool. That’s not okay. Our first point in this article (busyness) can make you resentful. You have no time for your spouse, family, friends or your health, for instance. But if you regularly feel mistreated, disrespected or bullied at work, resentment and bitterness can be hard to choke back after a while. There’s no way you can hold onto bitterness and for your family to still be okay. Your unresolved work-related hurts will inevitably spill into your marriage in a negative way. This can lead to an uncompassionate mindset toward your spouse. You’re also at risk of causing emotional hurt to your spouse through angry words. If you regularly feel hurt at work, it’s time to get out, transfer to a different job in your company or develop coping skills to stay where you’re at. It’ll likely take some wise people in your life to help you decide which route is best in your situation. Regardless of what happens, you can’t allow your work hurts to harm your marriage. Your spouse is way too important for that to happen. Our final sign that your job may be negatively impacting your marriage can be a further progression of feeling resentful and bitter. You can feel like an inmate doing a long sentence for a crime you didn’t commit. You regularly find yourself fantasizing about leaving your job and never coming back. Because your job has taken such an emotional toll, you may struggle to have the energy to look for a new one. Or, maybe you’ve been searching a long time for a new job but nothing has worked out. While everyone has the occasional bad day at work, it’s extremely unhealthful to regularly hate your job. This feeling of hopelessness, helplessness and burning desire to escape life as it is can only harm your marriage. You’re now emotionally spent and don’t have the energy to invest in your spouse like you should. This stress is also putting your physical and mental health at risk. Again, your spouse needs you more than your job. If you’re regularly feeling this way, for the sake of your marriage, you need a job change and quick. But sometimes you need some additional support from a trusted professional to get where you need to go. Are you starting to realize that your job is negatively impacting your marriage? This can be a difficult realization because now you’re dealing with job problems and marriage problems at the same time. In this case, the good news for you and your spouse is that your job is the root problem. If you fix your job dilemma, your marriage is sure to improve. You don’t have to face the pain alone. The OC Relationship Center can work with you as a couple to come up with evidence-based solutions. Now could be the perfect time to contact the OC Relationship Center to build a better foundation for a healthy marriage relationship!